Welcome to Styled + Set, a Holiday Entertaining Blog Tour that I’m excited to be hosting all this week! 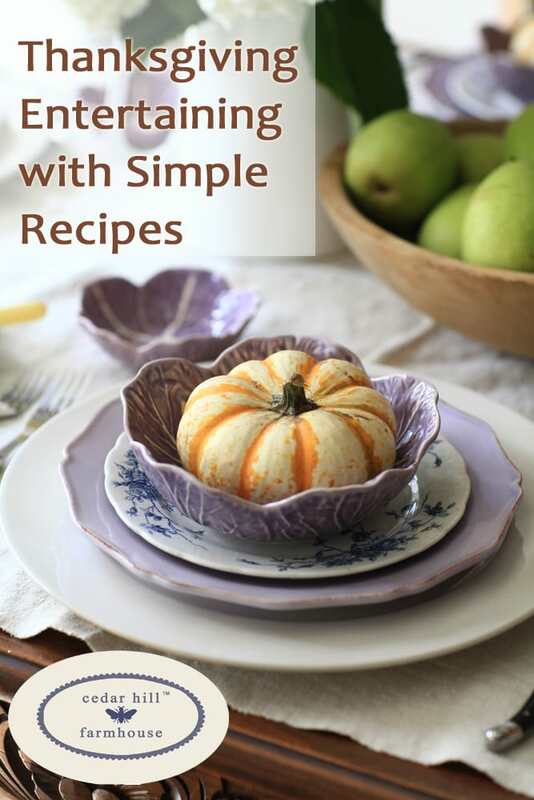 We’ve got 30 amazingly talented bloggers joining us with ideas and tips for your Thanksgiving entertaining style. 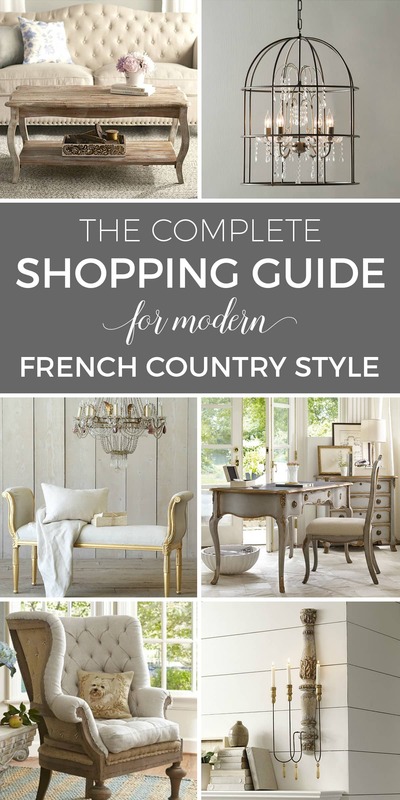 You’ll see French country, farmhouse, modern glam and more. Then please join us again next month when the group gets together to bring you a Blog Tour for the December Holidays. 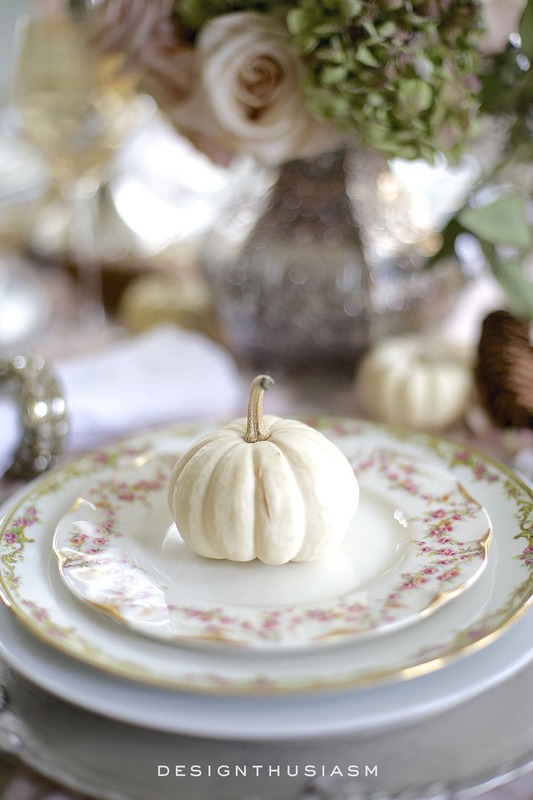 I’m opening the tour with my soft vintage Thanksgiving table and then I invite you to enjoy today’s 5 other bloggers who are linked at the bottom of this post. 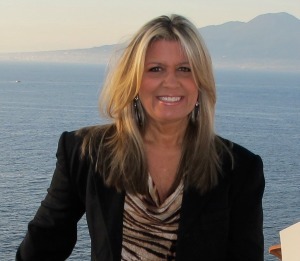 I also want to mention a special thanks to Janet from Shabbyfufu for helping to arrange this tour. Now relax and enjoy as we look forward to the holiday season! The truth is, I set a completely different table and took lots of photographs, but then my intuitive side took over and pulled everything off the table. Out came the baby boos, and a new plan was hatched. 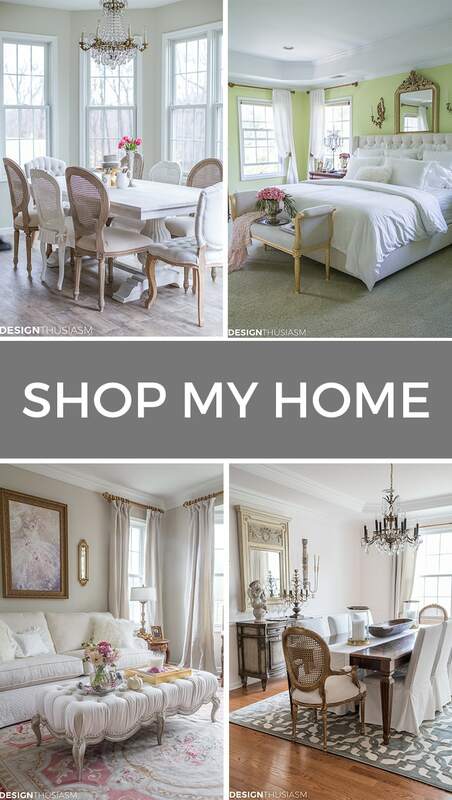 I often explain that when styling a table, I start with a concept and specific plan for the key elements, but once those are in place, I let intuition take over. That’s when I begin rummaging around my own home as if I was searching through flea market stalls. For this table I started with baby boos and vintage china and anyone who knows me, knows I have plenty of that. I also did a bit of foraging in the huge wedding centerpiece we brought home (I promise I left the silverware on the table… ;-)), pulling out the blooms that would highlight my soft vintage palette, discarding the burgundies in favor of blush pink roses and pale green hydrangeas, always with a bit of eucalyptus, for drape and movement. I confess, I love to collect china and I use lots of plates on a table. They don’t need to match and they often don’t. In this case I used silver chargers with decorative edging, then simple white dinner plates, and delicately bordered Limoges china. 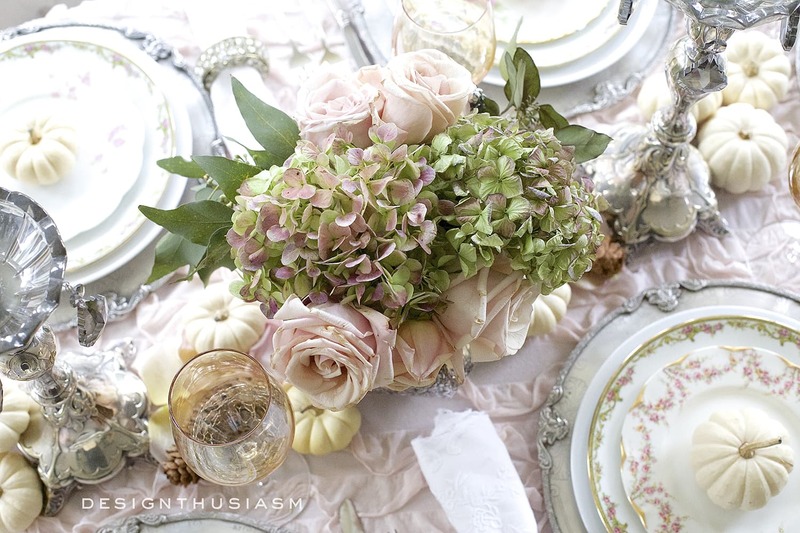 Topping my stack I chose mismatched vintage salad plates, selecting only soft pink florals to tie them all together. 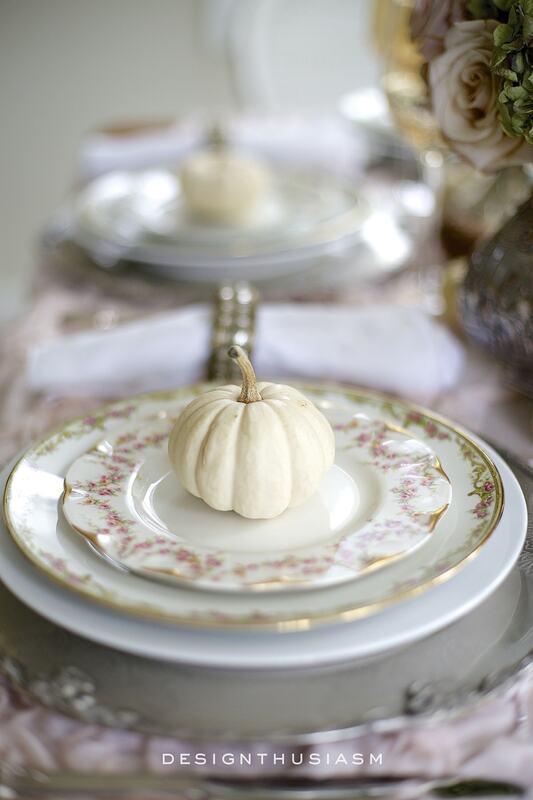 The underpinning for this tablescape and its unifying, if not defining feature, is a lovely blush pink ruffled throw that I repurposed as a tablecloth (from Shabbyfufu’s shop). 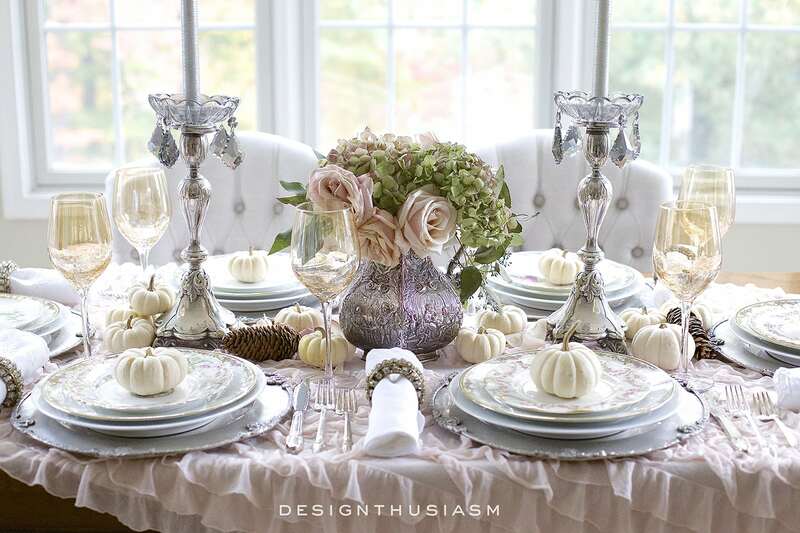 The other vintage elements that add a festive glimmer to the table are my favorite antique silver candlesticks topped with smoky grey bobeches and the silver repousse pitcher used as a vase for my floral bouquet. 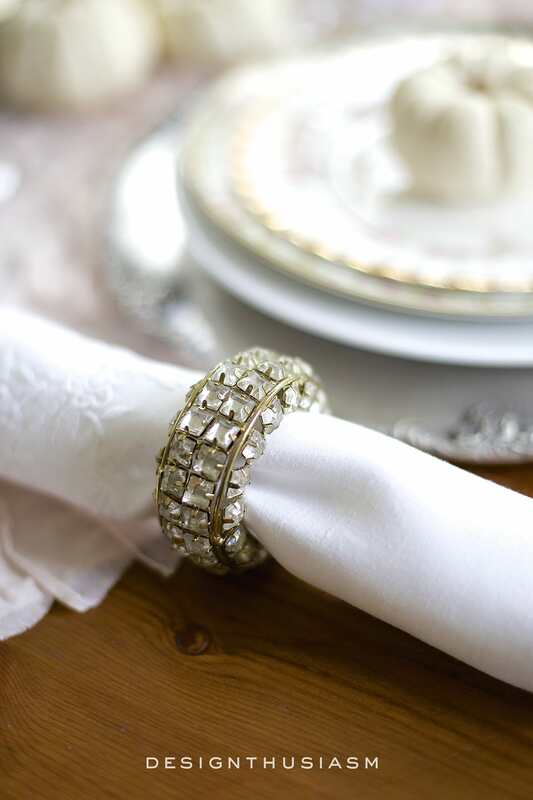 For napkins I chose an embroidered white linen with a crystal bracelet napkin ring. It’s entirely possible that the brilliant sunshine influenced my decision to opt for soft vintage pastels. I love using these flowers at this time of year because as they dry, it only adds to their beauty and works so well with this type of theme. The baby boos are then scattered, neatly placed at each setting, and gently tossed along the table’s center. The tufted white chairs are a recent addition and I love the way they look with the rest of the components. The obvious choice would have been to use my blush pink flutes, so of course I chose to do something different. 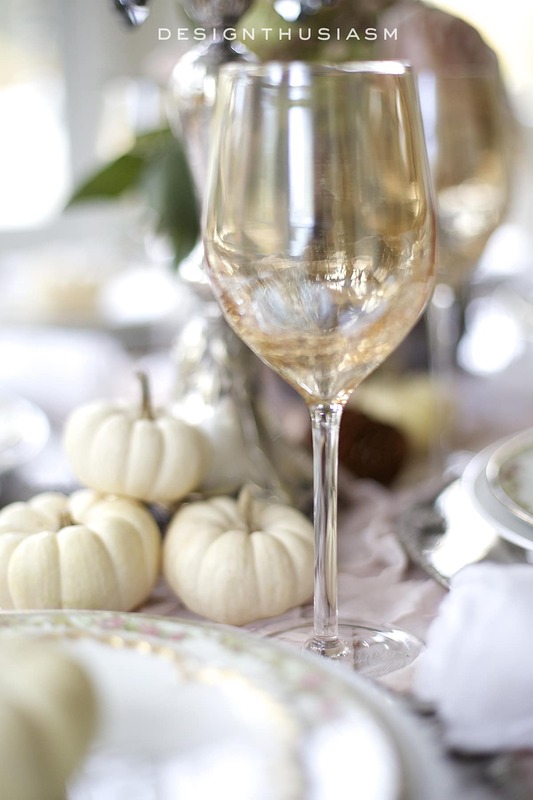 These golden crackle goblets add just a note of warmth, subtly reminiscent of aged vintage book pages. They make the table feel older and bit more timeworn. 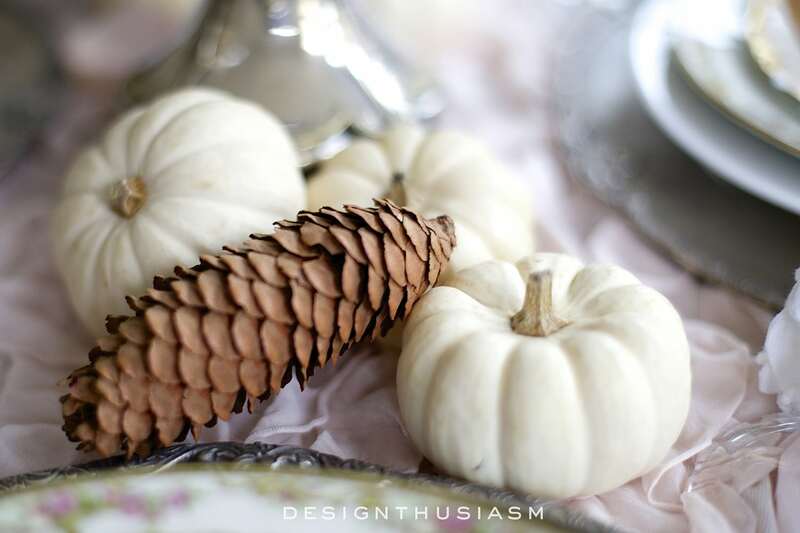 I tossed in a few pinecones for another seasonal layer and I enjoy the way they play off the pretty white pumpkins. I like to be cognizant of varied heights on the table. The tiny pumpkins have a sculptural quality, while tall silver candles lead the eye up toward the windows. 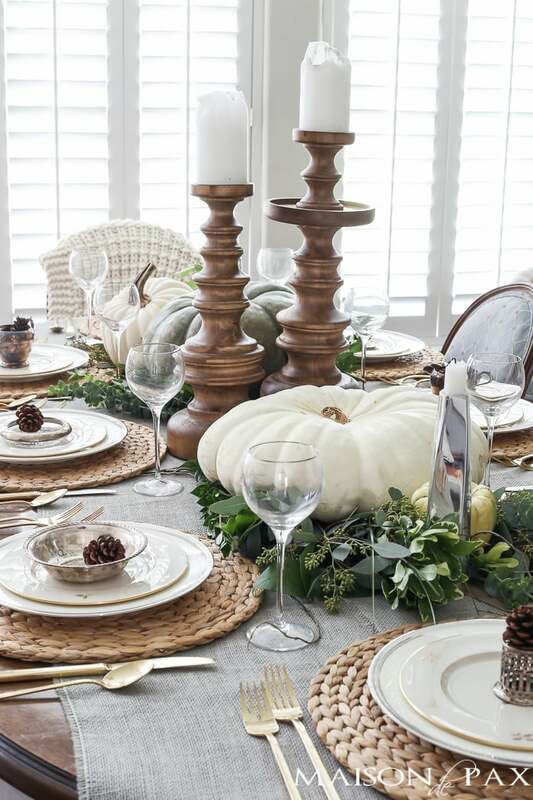 As pretty as a table can be set for the holiday, there’s nothing quite like the view out the surrounding windows, where fall foliage is there for the asking. Thanks for visiting with me for my holiday planning! 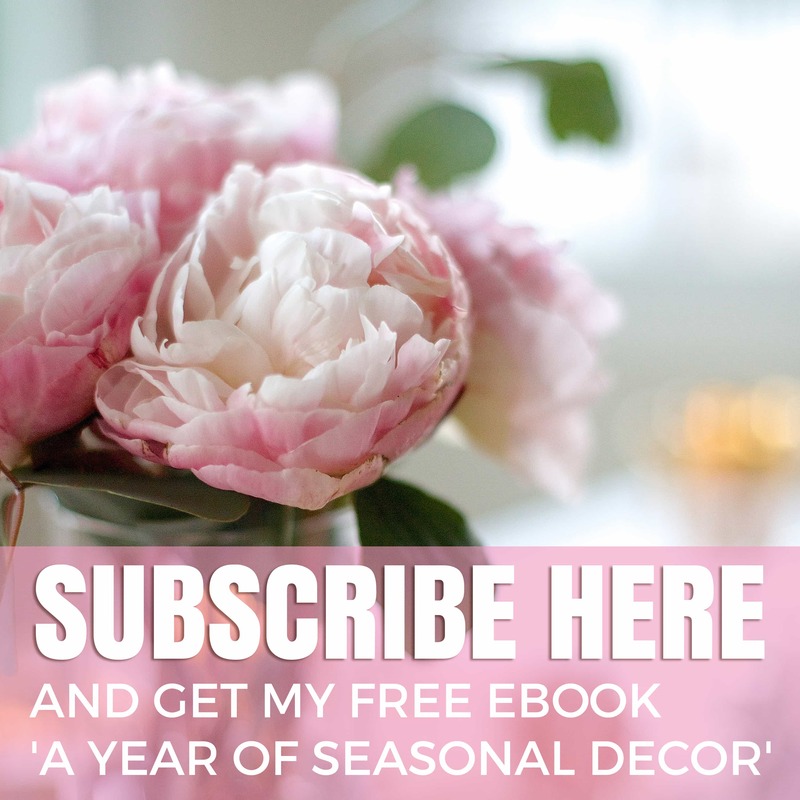 Please take some time to enjoy the other posts by clicking on the links below, and don’t forget to come back each day this week for more Holiday Entertaining Blog Tours! Beautiful setting as always, Lory. We have had baby boos here since August. Strange that they are so late where you are. Thanks, Kim! I should have come down there… 😉 Actually, I don’t remember them ever being so late before. But we’re enjoying them now! Beautiful table Lory! I’m loving this tour. 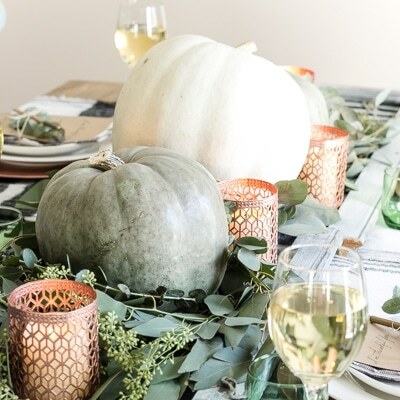 Such a sweet romantic Thanksgiving table. Thanks so much, Nancy! I’m having fun getting back to my roots of doing lots of table settings. It feels like I got off of that for a while, but now I’m back full force… 😉 Thanks for the kind words!! 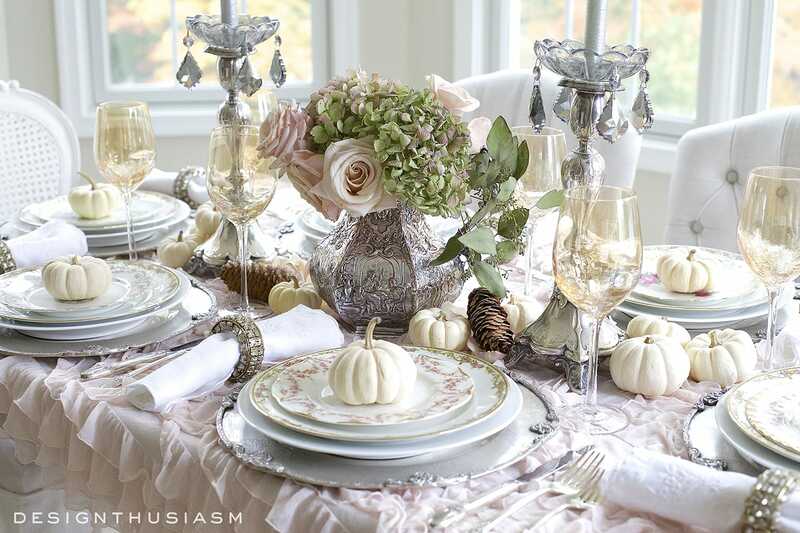 What a gorgeous tablescape, Lory! I love the soft, vintage look. Thanks for organizing the tour this week! Love this vintage look! I too set my table every month with a beautiful theme. Thank you so much, Annie, and delighted to have you… 🙂 I’m enjoying reading them all, too!! Lory this is so romantic! I love your beautiful color scheme. I would love to be a guest at your Thanksgiving table!!!! Thank you for organizing such a wonderful group! Stunning Lory! I soaked up each image! Just lovely an honor to be ‘at your table’ so to speak! Absolutely beautiful table. 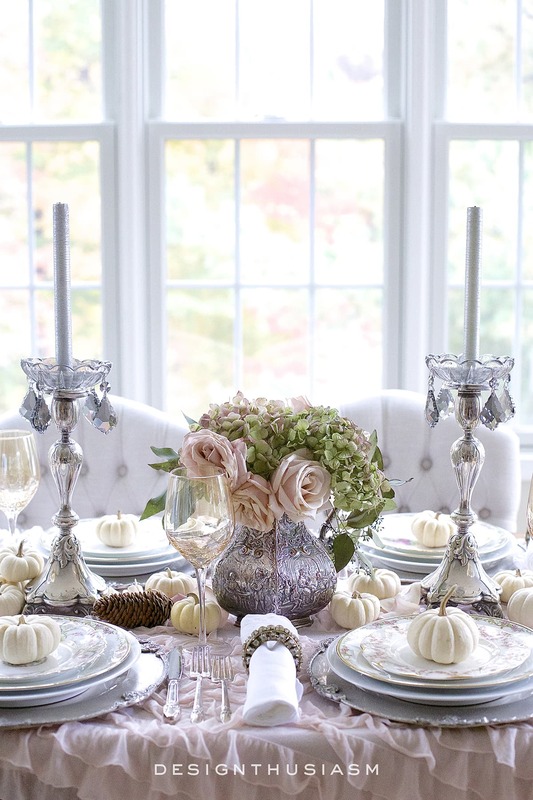 Everything is so pretty, the china the linens the silver all work so perfectly together. That repurposed throw/tablecloth is STUNNING! May favorite part of the table. Simply beautiful….the whole table. Lory!! 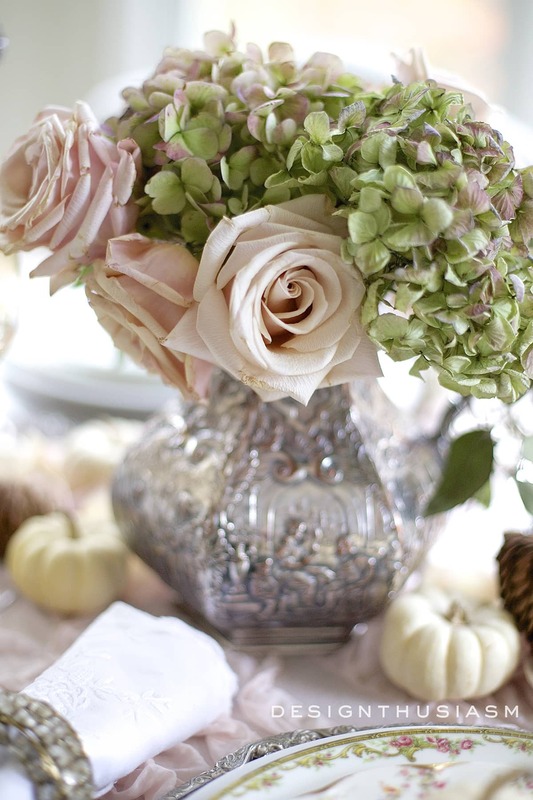 Your table is absolutely stunning and I love your soft color scheme!! Thanks for organizing this great group and I look forward to doing this again with you for Christmas! So fabulous!!! 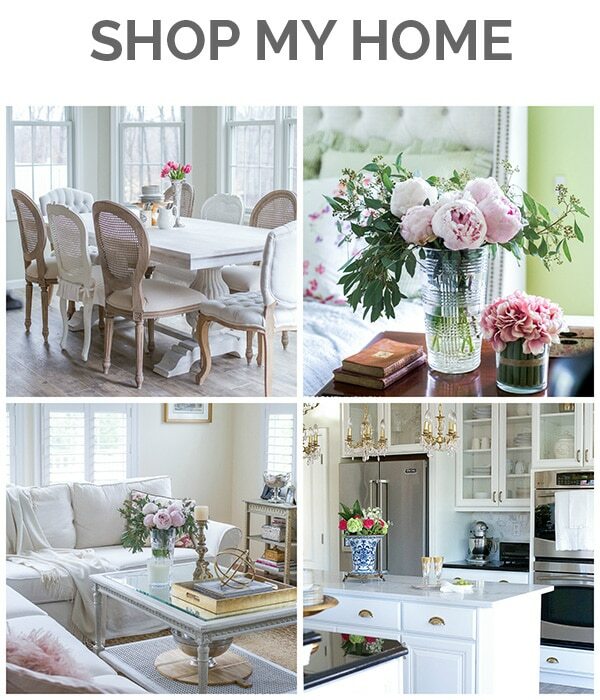 This is my first time visiting your blog and it is just lovely, Lory!! What an enchanting, soft, warm welcome it gives! I absolutely love the choice to use those gold goblets! Well-done and Happy Thanksgiving wishes! This is lovely Lory! I adore the colors you chose and your attention to detail is impeccable! Lory, what a gorgeous vintage inspired table! 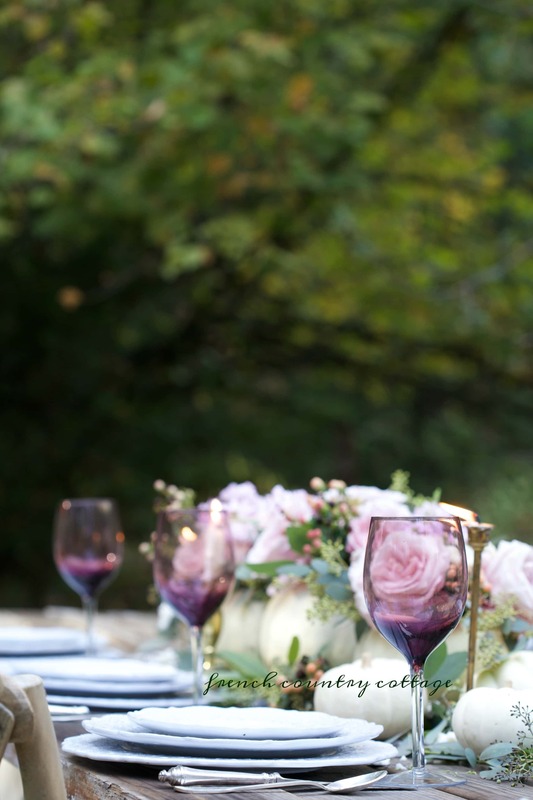 I love how you mix everything together and the romantic element is so dreamy! I’m very thankful to be a part of this tour with you! Thank you, Tamara! It’s a delight having you on the tour, as well… 🙂 I feel like I wound up with the dream team on this tour!! Stunning has been used a lot in comments today but it fits perfectly. Elegant, soft and pretty do also. 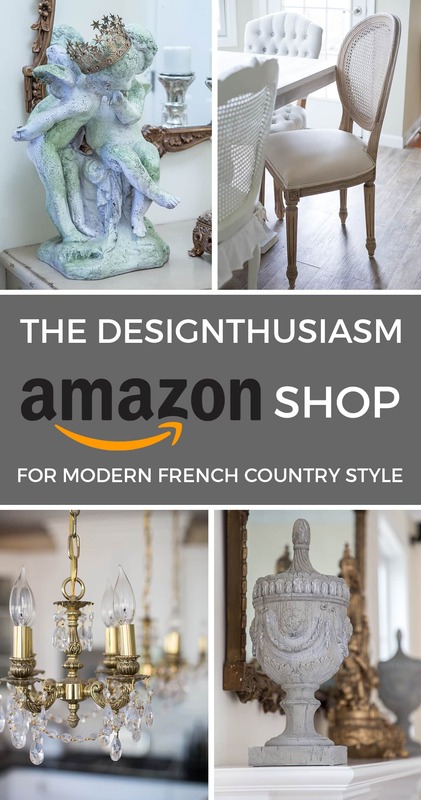 You have the gift of design! Thanks, as always, Bonnie! It’s a delight to have people appreciate what you do and I know that we share a lot of the same tastes. Thanks for visiting! Lory this is really so beautiful! 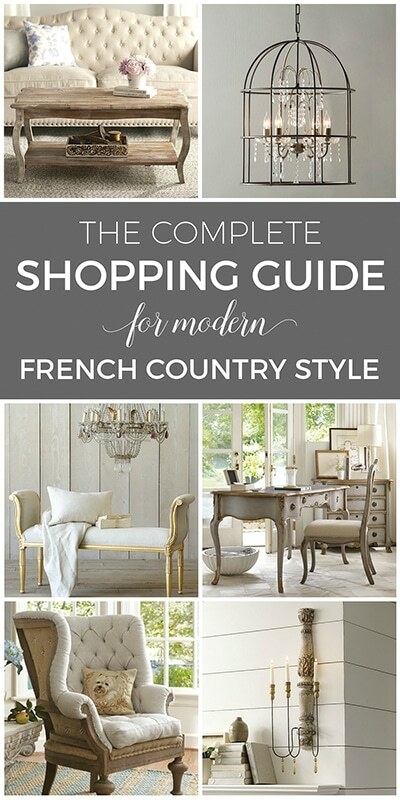 I am a big fan of your style, its romantic and exquisite and it always has a bit of a french feeling. Thanks, Amy! That means a lot to me because I’m a big fan of your style too… 🙂 Glad to have you on the tour!! 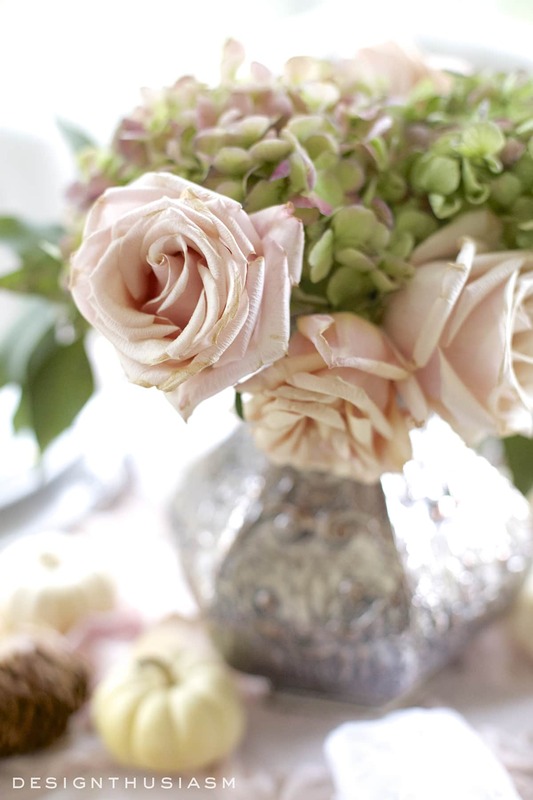 So very romantic….I think of “blush and bashful” colors from Steel Magnolias….Truly divine! Soooooo stunning, Lory! 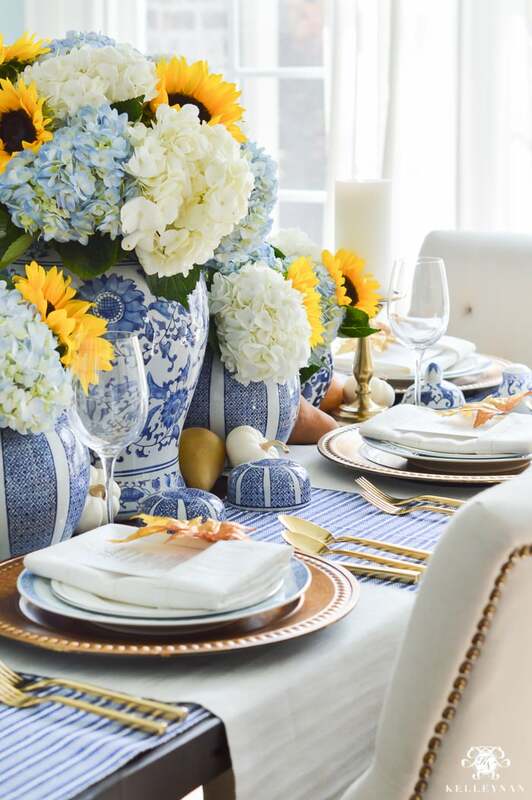 That tablecloth is gorgeous… and the gold stemmed baby boos… and the vintage china… okay, all of it. 😉 Your niece’s wedding must have been so romantic. Thanks so much, Lauren! And yes, my niece was really into the whole rustic romance thing. She should have a blog… lol! Lory, your table is beautiful. 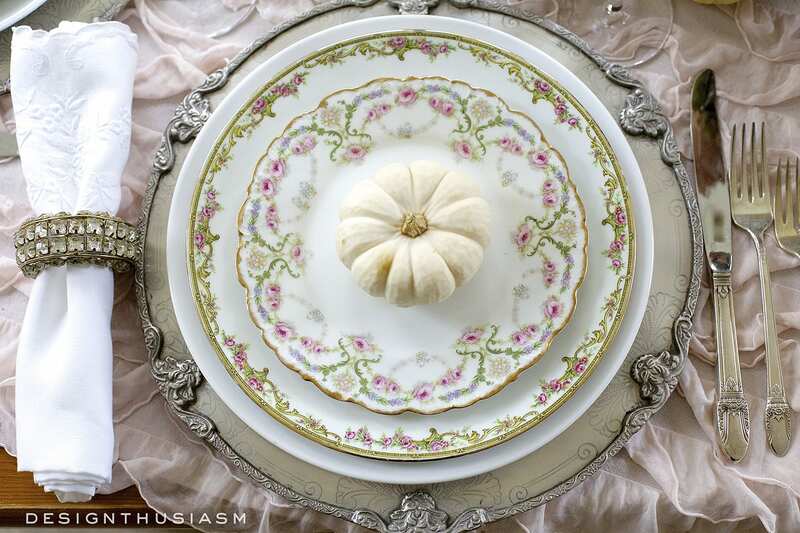 I love the china pattern that the very top plate that the pumpkin is sitting on, do you know who makes it? Thank you for sharing this with us. Thanks, Angelina! They’re all different. If you mean the one in the second photo it says “Theordore Haviland New York, Made in America Varenne”. 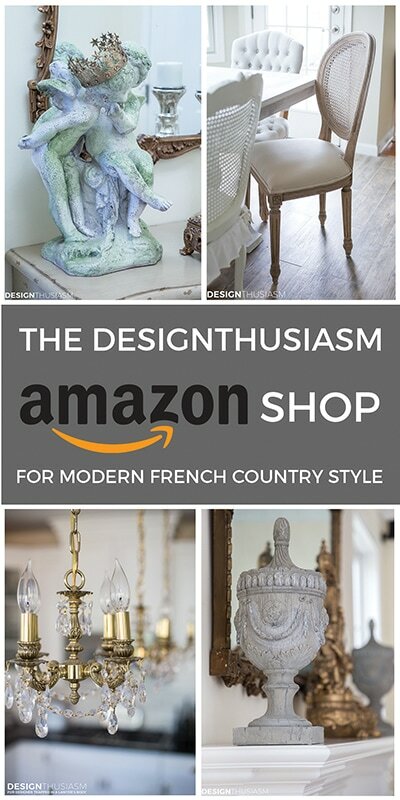 If you mean the one in the fourth photo, that one says “Elie Works, Limoges France”. The fourth photo was the one I was specifically referring to, but I love them all and of course they are both Haviland and Limoges! Lory it’s all so pretty and the best part is that it’s welcoming. Well done! Oh, Lory, what a beautiful table! 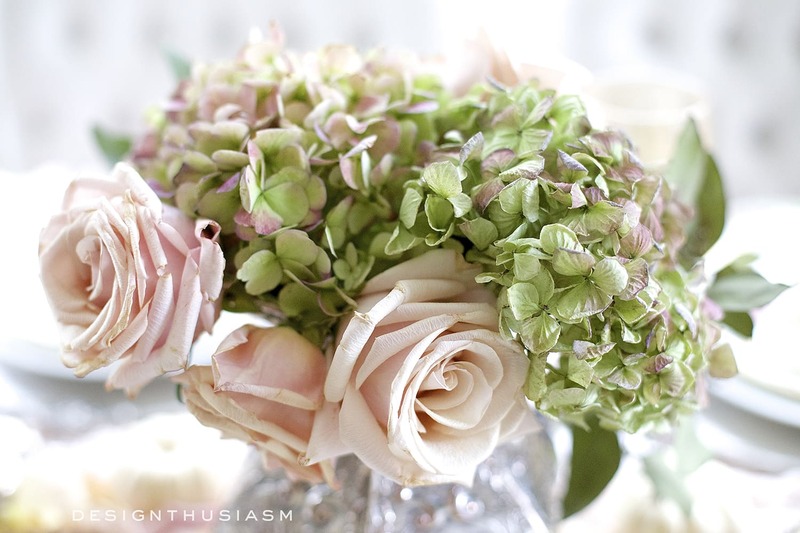 I love the softness, the ruffles of the tablecloth and the palest pink roses combined with the washed out colors of the hydrangeas. 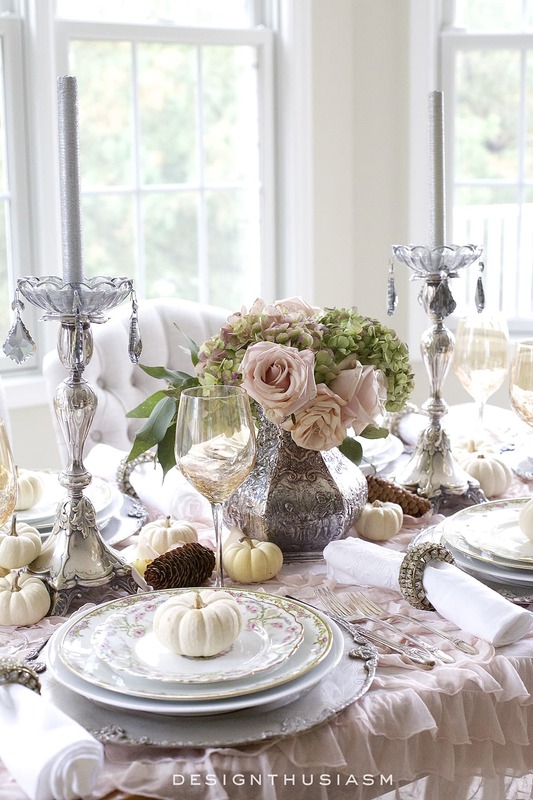 The vintage silver are the perfect addition to your lovely table. Obviously pinned to a couple of different boards. Thank you so much, Chloe! I hope people aren’t getting sick of them… lol. I’ve done 6 fall tables already… 😉 When actual Thanksgiving rolls around, I’ll probably set it for summer!! Thanks for visiting and pinning! Wow Lory! It’s beautiful! I adore those soft fall colors! Such a gorgeous setting 🙂 So happy you included me on this blog tour. Thanks, Becky! And a pleasure to have you joining us… 🙂 I’ve been a fan of your style for some time!! Stunning! Absolutely beautiful; as always! I love all of this! I have an entire set of the Limoges China in the pattern of the salad plate (second image). I was wondering if you would tell me the pattern of the dinner plate you paired it with? So gorgeous! Thanks you!! And, oh, how lucky for you! That’s one of my favorite patterns that you have the full set of. The one I have the dinner plates of just says Vignaud Limoges on the bottom, but I do not know the pattern name. It was my husband’s grandmother’s china and that’s the set I fell down the stairs while holding. (Not sure if you read that post, but that’s what unleashed my desire to collect mixed china patterns, since I broke half the set I had… ;-)). Do you know the name of the pattern of the one you have?